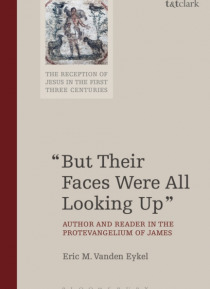 This study of the Protevangelium of James explores the interrelationship of authors, readers, texts, and meaning. Its central aim is to better understand how the process of repetition gave rise to the narratives of the early Christian movement, and how that process continued to fuel the creativity and imagination of future generations. Divided into three parts, Vanden Eykel addresses first specifi… c episodes in the life of the Virgin, consisting of Mary's childhood in the Jerusalem temple (PJ 7-9), her spinning thread for the temple veil (PJ 10-12), and Jesus' birth in a cave outside Bethlehem (PJ 17-20). The three episodes present a uniform picture of how the reader's discernment of intertexts can generate new layers of meaning, and that these layers may reveal new aspects of the author's meaning, some of which the author may not have anticipated.